On upcoming new single “Sky Doesn’t Blue,” Saro sets his soaring, impassioned vocals to a down-tempo, trance-inducing beat creating something simultaneously sad and beautiful. The track is set for release June 9 and will kick off his soon-to-be-named sophomore EP, slated for release late summer. 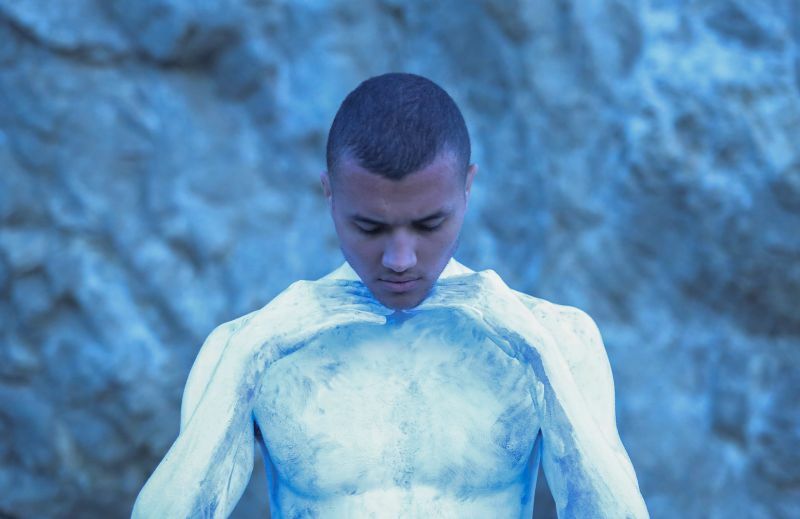 Saro’s live show is a powerful experience where he channels his deeply affecting electronic pop in a convergence with unique movement and physicality that touches on performance art. His visuals which he co-directs paint a beautiful yet dark picture that is an ethereal, strong, quiet presence on the brink of chaos. Saro first debuted his live show early 2017 with a run of LA support slots and later stunned crowds at SXSW 2017 of which Billboard described “At every SXSW there’s the show that could be the ‘I saw them play for 30 people at South-By in [insert year] before anyone knew who they were,’ and this year’s just might be Saro.” Most recently, Saro played a debut LA headline show at KCRW’s ‘School Night’ @ Bardot and will take his show to more audiences summer 2017 including performances at Brooklyn’s Northside Festival and additional Los Angeles dates.